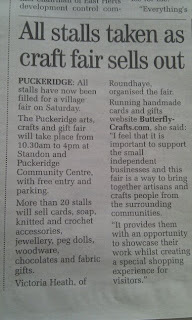 Organising the Puckeridge Arts, Crafts & Gifts Fair back in May was great fun as I organise events as part of my job so I want really phased by it all (until the morning of the fair!) 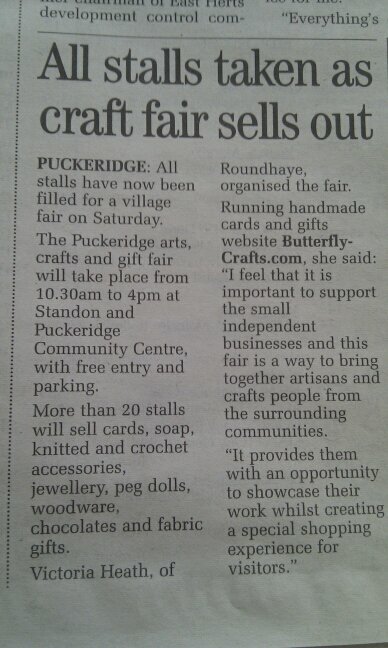 A big part of any event organising is marketing and promotion so that people know about it and well, come along! I started with writing something for the local village news magazine but then from that, the local paper The Hertfordshire Mercury picked up on the story! I ended up with double coverage as the first piece went to print unedited and unfinished, so I complained and pretty much wrote a second piece for them which I am pleased with!